The education and fun for Fox Mill students doesn’t end at the end of the school day. The PTA’s After School Activities Team plans clubs, classes, and other activities for students after school and in the evening. 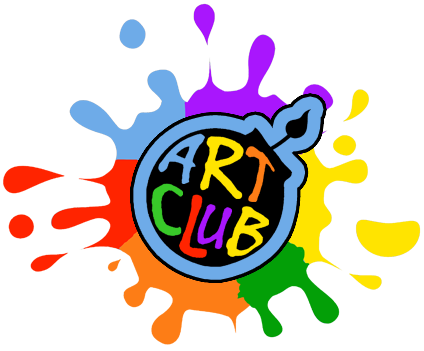 Fall is here so it’s time to your creativity on and join the Fox Mill After School Art Camp. By providing a variety of materials and techniques, each child will build self confidence, problem solving skills and the ability to create one-of-a-kind art pieces that are as unique as they are are. We draw, paint and sculpt. Everyone is encouraged to be creative, to experiment and to push the limits of their imagination in this open studio environment. In addition to all the fantastic art, each class gives students the opportunity to develop new friendships and to spend time with other young artists. Program Fee is $75. Odyssey of the Mind is an international educational program that provides creative problem-solving opportunities for students from kindergarten through college. Team members apply their creativity to solve problems that range from building mechanical devices to presenting their own interpretation of literary classics. They then bring their solutions to competition on the local, state, and World level. Fox Mill Elementary had 6 teams participating in the regionals competition, 2 of these teams competed in the State competition, and 1 team went on to the World Competition placing 8th! We will need at least one (or two) Coach per team, the teams are 5-7 students. The Coach will guide the team in problem solving techniques but can not assist in the actual problem solving. If your son or daughter is interested in joining, please consider volunteer as a Coach (we will guide you on what to do and what not) or a Co-coach. there's already formed teams in Fox Mill with experience Coaches who are willing to help, and you can form your new team with a brand new group of kids, you will have a blast! Program fee is $50 and enrollment is based number of the number of volunteers, payment is due upon placement. *No Class Nov. 5, Dec. 24, 31 or Jan 21. Let’s Play! Save the best for last by finishing up the school day with Sports Spectacular, a variety athletic program that features different sports throughout the session. Participants will practice skills and play games in both traditional sports and playground favorites. The Sports Spectacular Variety Program features the best “to-do” list ever – Basketball, Soccer, Flag Football, Kickball, Capture the Flag, Wiffle Ball, Bump and Bite, Knights and Dragons, Numbers Game, Tag Games, Safe Base and MORE! 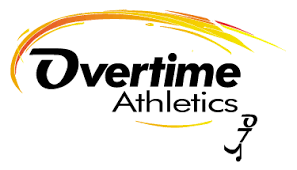 OTA covers all the bases with our emphasis on playing, teamwork, sportsmanship, and fitness. Don’t miss out on the FUN! Program Fee is $90. Huddle Up and get ready for Flag Football to become an instant classic. Kids are lining up to score touchdowns and get a taste of the most popular game in the country! Players will get a chance to be running backs, wide receivers, defensive ends, and corner backs. Learn to pass, catch, run routes and punt like the pros! We'll practice these skills while playing Button Hook, Down & Out, Pitch & Run and First & Ten. Scrimmages and Red Zone Challenges will test your skills, promote teamwork and encourage sportsmanship. ARE YOU READY FOR SOME FLAG FOOTBALL!? Sign up today and score a touchdown with OTA! Program Fee is $90. Get ready to float away with parachute-play! The parachute is a great way to help develop arm and shoulder muscles. This program will improve endurance and stamina. The parachute can be used to teach teamwork and group cooperation and will also improve basic motor skills and a sense of rhythm. But more importantly, the parachute unleashes the elementary school students laughter and imagination! This cross-over activity weaves athletics and creativity together to combine for an unforgettable way to end your school day. Program Fee is $90. Kids are natural runners, but spend a lot of time hearing “No Running!” How many times does a child hear this? No running in the halls… No running in the house… No running at the pool… It goes on and on. The HIGH FIVES RUNNING CLUB puts a stop to the “No Running” and let’s the kids fly! Crawl, Stand, Walk, Jog, Run… Gradually developing the habit to run can change and impact ones life forever. This program will bring a shot of energy with the daily warm-up game, then blast off with the daily workout. Our goal for the HIGH FIVES RUNNING CLUB is to get heart rates raised and to increase endurance. Program Fee is $90. Let students explore the incredible world of comic book illustration and learn to take their creativity to a whole new level! Students will learn about character development, storyboarding, panelling, story design, color theory and how to hone their art style. Instructors will teach students how to create comics using tradition art along with digital software, so they may work comfortably in whichever medium they prefer. By the end of the course, each student will leave with their very own comic book they created in class, along with a strong introduction to digital art processes and comic composition concepts. Program Fee is $130. 2D Game Design builds upon the fundamentals and concepts of game design within a real game engine many indie development teams currently use. Students learn to design and build their own game from the ground up, while learning 2D game art and programming logic with the engine’s integrated art software and easy-to-use events system, fit for beginners through advanced learners alike. Our instructors help students develop games individually, so students have the freedom to create at their pace while focusing on their creative interests. The final product is their own game that can be played on any computer, and the knowhow to continue their game development at home. Program Fee is $130. This free weekly program is held in the FMES gym and is open to students of all ages and experience. Our goal is to have fun, get exercise and learn the fundamentals of basketball, teamwork and sportsmanship. Also additional coaches are needed to help facilitate activities and provide a positive environment. Registration is limited to 25 participants for each session. Program Fee is Free.